Our school has been the vessel that has carried so many professionals to their current successful careers. We could be your vessel too. We operated with the mission to bring out the best in the trainees and students who enroll at our institution. The healthcare industry is a critical field for anyone working in it. Such industry deals with health and life, so it is crucial for healthcare professionals to be adept at what they do, fulfilling the roles they are expected to play. Barnabas Health Care School of Professional Studies understands the high degree of responsibility and accountability that a healthcare professional has. We want to help train our students to become the best in the field, equipping them with the necessary expertise to be the best at what they do. From the classroom training to actual clinical practice, our staff motivates, inspires, and reminds our students about their integral roles in patient care. With our training courses, you can make a difference in the lives of your future patients. Get the proper training and education you need for your profession from us. 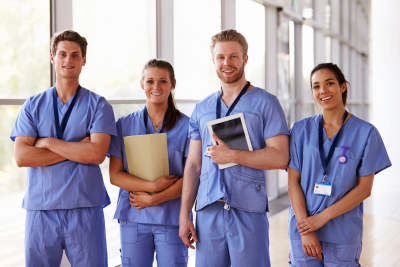 Allow us to help you build a strong foundation for your future healthcare career. Be one of our future graduates and enroll online. For inquiries or assistance, you may call 331-550-3615 or 313-952-2699.